How to Use a Curling Wand – You have your own reason why you want to learn how to use a curling wand. For example, for those who are tired of the lines and kinks when using a curling iron, then using a curling wand would be a great choice. What is the benefit of using a curling wand? Well, a curling wand allows you to curl your hair without clipping it in place. In other words, it is a cool tool which allows you to create smooth, full spirals without putting too much effort. Using a curling wand, you can achieve different looks easily. Some of these choices include beach waves and basic curls. Now let’s take a good look at some tips that we have listed here. By reading our tips, learning how to use a curling wand would be a lot easier. The first thing that you need to do is to set a solid foundation. You can dry your hair completely. Simply blow your hair dry with a hair dryer if you have just washed your hair. 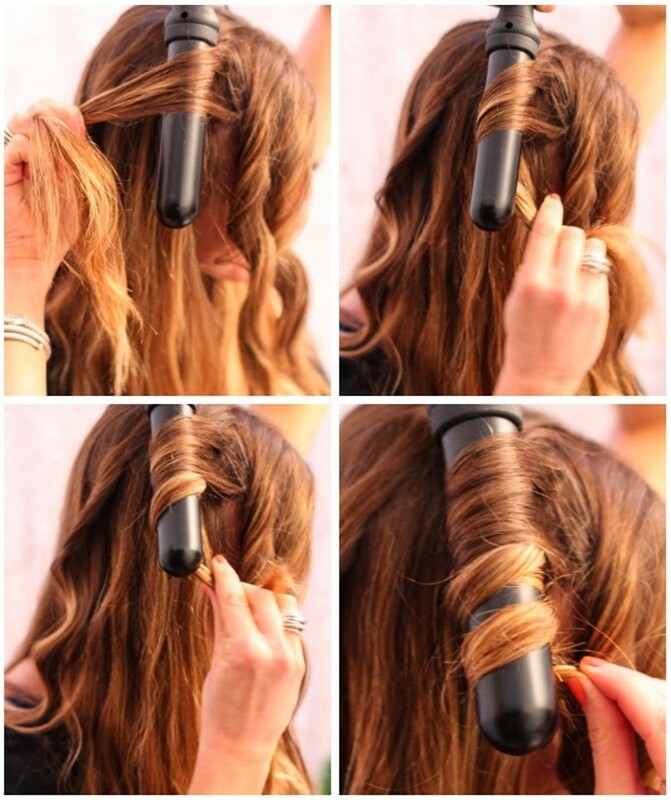 Doing this step is important before you start using a curling wand. The next step is that you can brush out your hair. Make sure that you always start with neat, tangle-free hair when you use a curling wand. Don’t forget to use your regular comb or brush as it allows you to tug out any tangles. You can also use a leave-in conditioner as you can apply the product while brushing out your hair. Now you need to choose the right heat setting. Please note that a curling wand comes with different heat settings. The choice ranges from high and low. The best idea is that you can start with the lowest setting and it can provide the least amount of damage to the hair. However, if you realize that your hair is not curling at the lowest setting, then you can increase the heat gradually. It is important that you know how to protect your hair when using a curling wand. You shouldn’t use any type of heat treatment to your hair without applying a heat protectant first. It is easy to find a good hair protectant product. You can find a heat protectant spray or gel which is available at your salon or local department store. Applying a heat protectant product to your hair is easy. All you need to do is to start from your roots to your tips so that you can ensure that the product will provide the best protection for your hair. Some women also use styling gels when styling their hair. If you are one of them, then it is important that you apply the styling gels after your hair is curled. By using a curling wand, it is easy to get basic curls or beach waves. By knowing how to use a curling wand, you can style your hair easily.